Jungles are proving a popular baby theme. 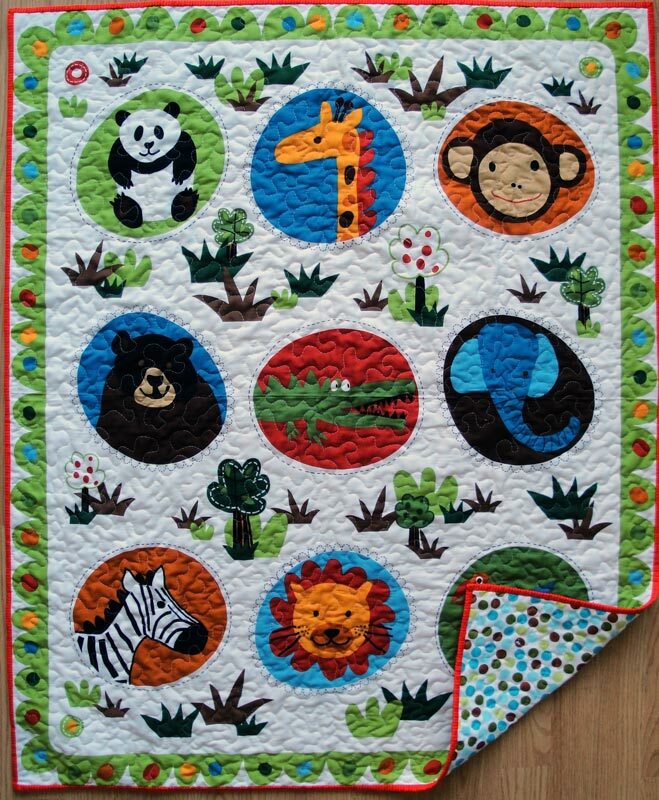 This quilt was made for a friend's baby shower out of a single panel and backed with a matching design from a similar fabric line. The baby's gender was a surprise (it's a girl!) so the colors had to be somewhat gender neutral. I'm really drawn to orange at the moment, so that seemed the perfect color for the binding.